I love fresh figs and have planting a fig tree on my to do list for next year. 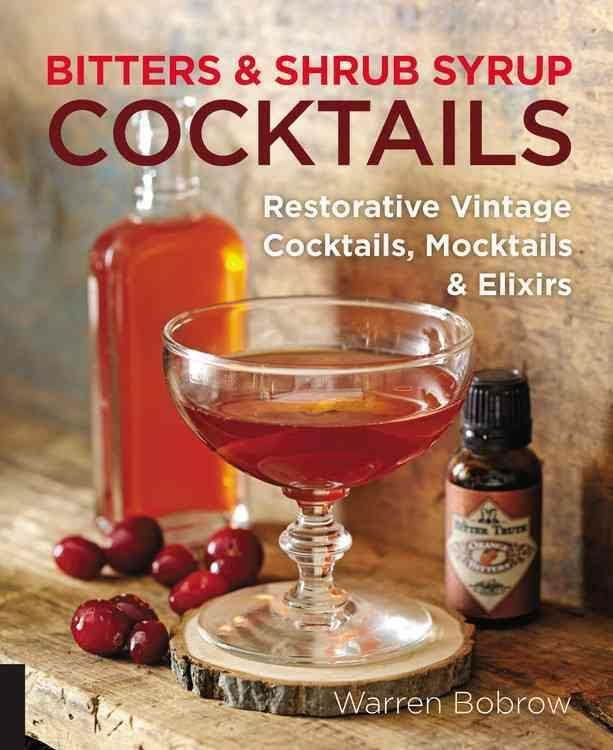 When I saw this Quick Balsamic Fig Shrub recipe in Warren Bobrow’s latest book, Bitters & Shrub Syrup Cocktails, I knew I had to share it with you! While I was on my Oregon vacation I got to visit with my friend Gail Davis, of Hungry Vegan, in Eugene. She took me to the farmers market and it is out of this world! I tasted a pear shrub at Lola’s that didn’t have any added sugar and it was amazing. Unfortunately, I was traveling for another week so I couldn’t take any with me. 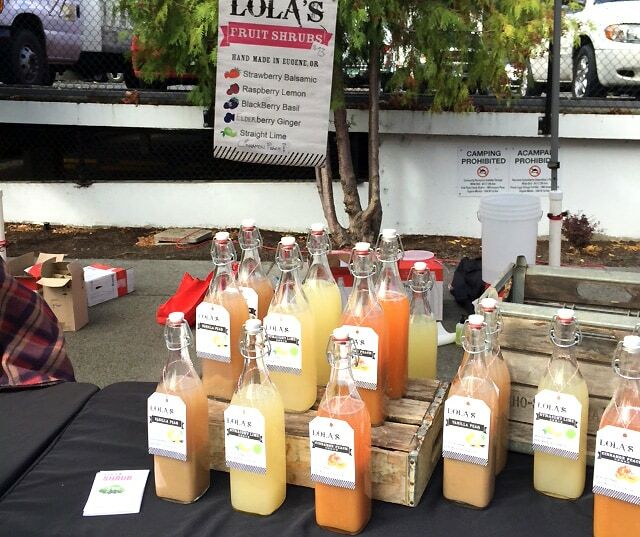 If you live in the area you have to try Lola’s Fruit Shrubs. 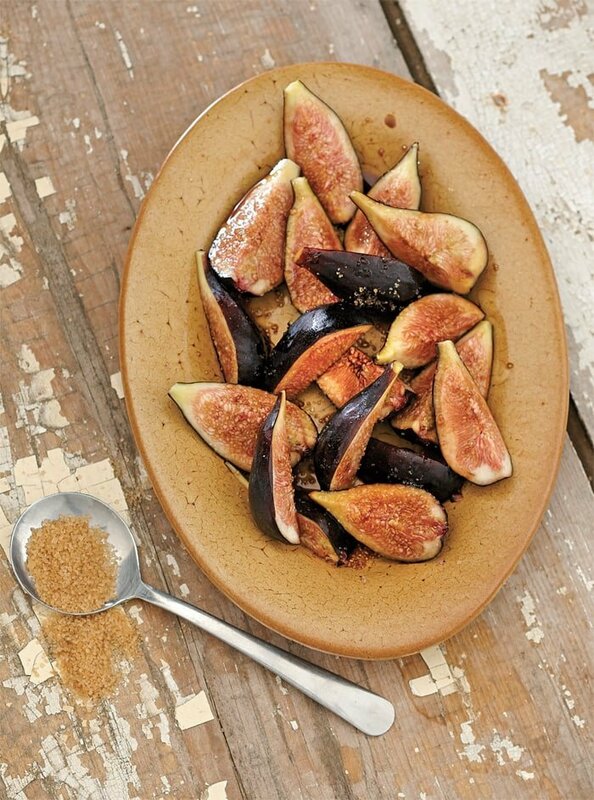 Place the fig quarters in a nonreactive bowl, and cover them with the sugar. Add the vinegar immediately, and mix well. Cover tightly, and let the mixture sit on the countertop for 2–3 days. Then, uncover the fig mixture, and mash it up a bit with a fork. Place a nonreactive strainer over another nonreactive bowl, and transfer the mixture to the strainer. Press down on the fruit mixture with a wooden spoon to squeeze out as much liquid as possible. Voila: a shrub is born. Store the mixture in a sterilized bottle or jar, and use in your mock-or cocktails immediately. This innovative mocktail honors Frazer’s wife, who, like her husband, must have been well versed in fig-related lore—but I bet she’d never tried drinking them. she should have, since this tipple is wonderful: a brown-sugar simple syrup loosens my lush, dark, tart Quick Balsamic-Fig shrub before it’s diffused in refreshing soda water and topped with a slice of fresh fig. and it makes a great early-autumn aperitif. Serve a few rounds at your next party; it’s sure to delight seasoned drinkers and teetotalers alike. 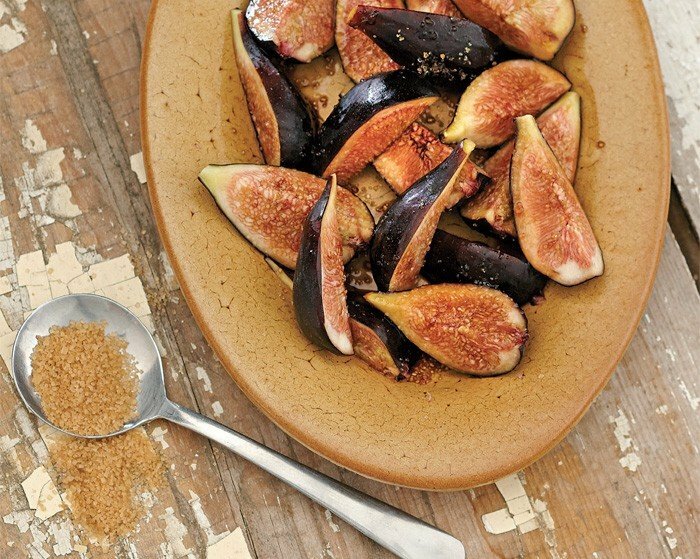 Pour the Balsamic-Fig Shrub into a Collins glass, then add the Demerara Sugar Simple Syrup. Add a spear of hand-cut ice. Top with soda water and garnish with a slice of fresh fig. I’ve never made anything like this but it looks soooo yummy! I love figs and balsamic vinegar so I’m sure I will love this!! I was only recently introduced to shrubs. It was love at first sip! With balsamic, and fig this seems like the perfect refreshing fall cocktail. Love the cozy flavors!